The sport and charity event, celebrated in “Ca n”Oriol” leisure area in Rubí (Barcelona) was extremely successful. 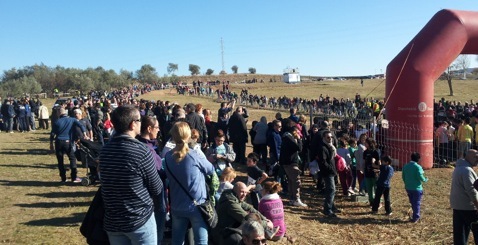 The goal of the event organizers was to collect food for the less fortunate, so all cross race participants voluntarily contributed by bringing all types of food.With a total of 1600 registered athletes, and almost 1000 children participating in the school races, the Rubí Cross Race was an excellent opportunity to mix fun, sport and solidarity. With all the hard work and dedication to helping others, children deserved to be recognized for their efforts, so each young participant received Peta Zetas® and other goodies after completing the race to bring back an extra smile to their faces.